As per the official release by the board, the results JEE (Main) Paper 1 score and rank along with the list of top 2,20,000 candidates eligible for JEE (Advanced) will be declared by April 27 on the official site. Only about 18% students are going to qualify for next series of examinations. 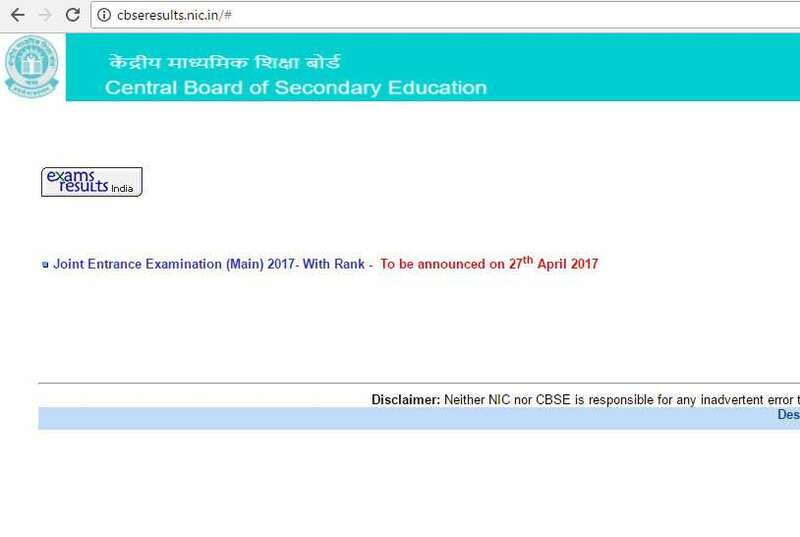 Check: JEE 2017 Main Result. Resolution by finding the ratio of positive marks and negative marks– a candidate with a higher absolute value of the ratio will be given better rank. Meanwhile, the answer keys and sheets of Paper 1 exam were released last week on the official website and available to download from 18th of April. Our team wishes you all the very best and hope for your best future. Stay tuned to TheReporter Times and IITJEE Official Website and never miss an update again about Joint Entrance Examinations. Come back for latest education news and other exam results’ updates across India.